Meteora is a visual feast for the soul. The spectacular rock formations, crowned with 1000-year old monasteries connect the earth and the sky, allowing the monks’ prayers to reach the heavens with more immediacy. How did Meteora Rocks Form? The Grand Meteoron monastery contains several exhibits that shed light on how monks lived a few centuries ago. View of Meteora with Roussanou monastery and lookout points in the background. One of the major ways of getting people and supplies to the Monasteries was via cable cars. This one is for ferrying people at the Grand Meteoron monastery. Three Monasteries at Meteora. From left to right: St. Nicholas Anapafsas, Roussanou, Grand Meteoron, Varlaam. The first monastery to be established at Meteora is the Grand Meteoron. Detail of the Grand Meteoron monastery. The Holy Monastery of Roussanou. View of Meteora. Roussanou monastery is in the foreground. View of Varlaam Monastery at Meteora, Greece. Meteora is one of the most exciting and unique destinations of Greece. It is located somewhere in the middle of mainland Greece, in Thessaly, far from the sunny beaches that most visitors are familiar with. This means it attracts a different kind of traveler. It attracts a curious mix of younger campers, outdoor-focused families, casual sightseers, and rock climbers come from around the world to conquer the unique rock formations. Above all, Meteora is a place of pilgrimage for Orthodox Christinans the world over. Many come seeking a miracle for ailments, some to pray, and some for the history of the place. The Meteora rock formations look as if they were pushed by giant fingers from deep within the earth to stand straight up from the land around them; an Olympian god playing games? Who knows? Unique geological formations have been a focus for human spiritual quest since the Stone age. Naturally, the Meteora accenting dance of the earth towards the sky was impossible to ignore by those who desired their own accent to the heavens. Hermits of the early Christian era found their enlightening solitude at the inaccessible summits of the steep rocks. Years of hermit isolation there eventually led to more permanent structures, and eventually into major monasteries. These monasteries occupy many of the rocky terraces, most of which were built during the Byzantine era and have changed little over the centuries. Aesthetically, Meteora is one of those places where all the elements gather in perfect order to create a natural work of art on a monumental, yet human scale. Engulfed by the spectacular landscape you will be awed by the organic shapes, flowing volumes, smooth wind-swept textures. These are elements we often recognized in excellent art. Meteora is this rare moment where time becomes eternal. It’s the rare place where the epic landscapes will make you feel so small and so great simultaneously. The main reason for visiting Meteora is to experience the unique landscape and to visit the Byzantine monasteries that house priceless artifacts, Byzantine manuscripts, and wall paintings. To enter the monasteries of Meteora a dress code is strictly enforced. Men must wear long pants and women long skirts. Sleeveless shirts are not allowed. Entry fee for each monastery is €1.50. 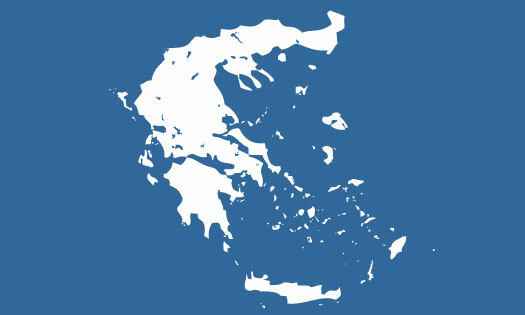 Greek citizens get to enjoy free entry. The monastery is built tall on the rock’s small footpring. It was founded in the 14th century and its catholikon was decorated skillfully by the famous Cretan painter Theofanis o Kris (Theofanis Strelitzas Bathas) in 1527. In the chappel of St. Anthony you can still see the 14th century wall paintings. This was the first monastery built at Meteora. It was built in the 14th c. (1387-1388) by St. Athanasios and was dedicated first to “Theotoko” and later to the Transfiguration of Christ. The monastery was expanded by the Serbian emperor Symeon Uros when he decided to become the second monk-owner of the monastery, changed his name to Holy Ioasaf and transferred all his riches to the monastery. The sculls of both of the first founders are still in residence at the monastery among the bones of other monks. The building was rebuilt once again in 1544 and was expanded in subsequent years. The monastery houses many historical artifacts, wood carvings, and paintings. The library of the monastery houses 640 handwritten manuscripts, the oldest one written in 861 CE. Today 400 steps take visitors to the monastery. The Roussanou monastery is dedicated to the “Transformation of the Christ” and also to St. Barbara who is honored on the 4th of December. The monastery covers the entire terrace of a long-narrow rock and it is accessed by several steps and two bridges. The hike from “Psaropetra” is an easy treck under the shade of thick vegetation. It was built in 1530 and decorated with frescoes by an unknown artist in 1560. Summer Hours: 9:00 – 5:45. The monastery of Varlaam, in proximity to the Great Meteoron monastery, is named for the hermit of the same name who climbed the rock and made it his refuse in 1350. Later in 1517 two brothers from Ioannina, Theophanes and Nektarios Apsarades climbed on the rock and rebuilt the deserted chapel Varlaam had created. The little chapel became a monastery and was expanded in subsequent years. Theban icon painters decorated the monastery first in 1548 and then in 1566. Besides the wall paintings the monastery houses an important collection of manuscripts and artifacts. Agia Triada (Holy Tninity) offers the most spectacular view of Kalambaka, Penios River, and the Pindos mountains beyond. It is also the least visited of the Meteora monasteries thanks to the number of steps a visitor has to climb. It was first built in 1362 and rebuilt and expanded in 1475. The brother priests Antonios and Nicolaos decorated its walls in 1741, but the wall paintings inside the carved rock were painted in 1682. Agios Stefanos monastery is easily accessed through a road and was first built in the15th century and was rebuilt in the 16th century. The catholikon of the monastery is dedicated to St. Haralambus and was built in the 19th century by the monk Ambrosios. Located on a more isolated rock to the north and west of Kastraki, Ipapantis monasteri is not open to the public. It was abandoned for many years and was recently restored by the ministry of culture. It was built in 1366 by saint Neilos who also painted the fresoes on the walls. The original paintings are still visible. The ruins of the Agios Georgios monasteri are visible in a large carvern above Kastraki village. The most visible part of it is the colorful line of colorful scarfs that are hang on lines. Every year on the day when St. George is honored the local youth climb the rock with ropes to replace the scarves with new ones. Although automobiles can take you near the monasteries via asphalt road (prepare for some step-climbing once you park), many visitors opt to combine their visit to the monasteries with hiking. It’s not difficult to trek the paths on your own , but signing up for a hiking tour with a local guide can make the experience richer. Hiking the ancient footpaths and visiting two or three monasteries would take about 5-6 hours. For a shorter hike, you can visit the Great Meteoron Monastery. From the main asphalt road (Epar. Od. Meteoron-Kalitheas) you can hop on the footpath about 300 meters (0.2 miles) after you pass the Saint Nicholas Anapafsas monastery as you come from Kastraki. The first ascent is the steepest. You will climb about 1000 feet from the main road to the Monastery. After that, you will be walking on relatively flat footpaths. The steep rock formations of Meteora are an irresistible destination for rock climbers who travel from around the world for the experience. Kalabaka (Καλαμπάκα) is a small modern town near Meteora. The most interesting feature of the town is the dramatic backdrop of the steep Meteora rocks that frame the northern part of the skyline. The most interesting part about Kalabaka is that despite the high number of visitors to the area, the town beats to the local tune. It’s as close to an authentic (non-touristy) Greek small town atmosphere as you can get in a touristy area. The streets are full of Greeks who go about their lives seemingly oblivious to the intermingling tourists. It’s a nice place to relax and have a coffee as you take in the spectacular backdrop of the tall rocks to the north. Kalabaka offers a number of hotels accommodations for visitors to Meteora, and its busy main street is filled with smalls tourist shops, cafes and restaurants. The high rock named “Agia” is the landmark and separates it from Kastraki (2 km westward), and the paved road leads to the monasteries. Ancient Aiginio is believed to be under the earth in the area (probably around, or under Kastraki). The town is clean and quiet, with one main street that runs through it like a backbone, and several squares adorned with lavish fountains that become pivot points for families and boisterous children late in the evening. Most restaurants and cafes are located along the main street and in the few side streets in the center of town. Kalabaka is a year-round tourist destination wand hosts a museum of modern art, a traditional wood carving school, and a small museum of “Natural History and Mushrooms”. The most interesting landmark of Kalambaka (besides Meteora) is probably the church of the Assumption of the Virgin. This historic church was built in Byzantine times (16th c.) and was renovated in the 18th century. Built in its walls one can see some parts of an ancient temple, as most early Christian churches around Greece made use of existing building materials from previous temples around the site. One of the marble columns inside the temple is from a known set of three (another one is in Delphi, and the third in Hagia Sofia in Constantinople). The church of Assumption was built on the ruins of an early Christian basilica, which was built by Byzantine Emperor’s Komninos family members. Some parts of this early church are still visible inside the building today. The “amvonas” (pulpit) in middle was rebilt with many parts from the old basilica, and some wall paintings on the east wall are from the 12th century, while the mosaic that’s visible through a square hole of the floor is dated to the 5th or 6th century CE. The trail behind the church can take you on a comfortable 60-minute walk to the Agia Triada monastery. Kastraki is a small village located at the foot of Meteora rocks. If you dont have a vehicle Kastraki is probably the best place to stay. From there you can walk to all the monasteries following the footpaths among the trees, and you can watch the rock climbers cling to the face of the rock. In Kastraki you will find the best view of the Meteora rocks, a number of camping grounds and small hotels. To the west and north of Meteora you will find the imposing Pindos mountain range and to the east and south the endless valley of Thessaly. According to geologists, Thessaly was once an enormous lake that was emptied into the Aegean in one cataclysmic moment when the natural levy collapsed around today’s Tempe, leaving behind a very fertile and relatively flat land. At the western edge of this lake, near the Pindos Mountains, a number of streams formed a delta right where Meteora is today as they emptied their waters into the lake. The river and streams deposited their sediment there over thousands of years. As a result, this mixture of stone, sand, and mud at the edge of the lake formed a conglomerate. When the lake dried the softer sandstone around it eroded away leaving Meteora standing. 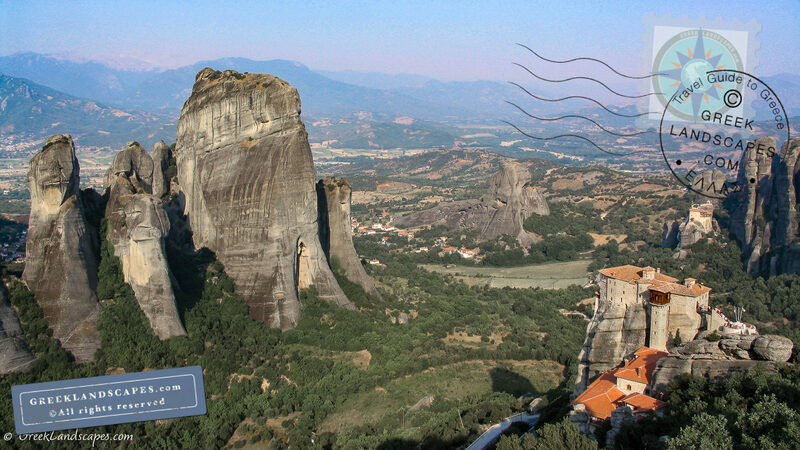 The Meteora rocks are constantly being shaped by wind and water as a living earth sculpture. The formation of Meteora is lost in geological time and over millions of years earth has used an array of forces to sculpt a unique and dramatic landscape that became an awe inspiring spiritual place for humans in recent history. While ancient sources are sparce on Meteora, the town of Aiginio must have been located in the immediate area. During the Byzantine era the town was named Stages with much a fairly large population. During this time the tops of the steep rocks became the spiritual platform that elevated Orthodox Christian monks closer to the heavens. The name “Meteora” means “suspended in mid-air”, and the name was coined by monk Athanasios in the 14th century. He came from Mt. Athos and founded the first monastery on a rock he named the Megalo Meteoron (Great Meteoron). 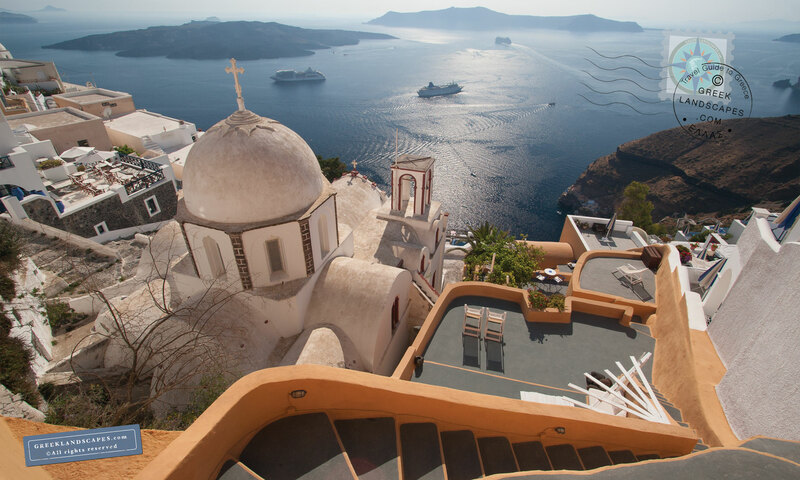 Athanasios followed in the footsteps of a number of monks who used the caverns on the face of steep rocks, and the tall terraces for their spiritual isolation from the material world. The first hermits dwelled on rudimentary wooden structures clinging to the faces of the rocks high above the ground as far back as the 11th c. CE. In the long history since the first monastery of Megalo Meteoro, the monastic community moved through different phases of significance and decline. By the 15th c. CE 24 different monasteries were active in the area, but by the end of that century the Turkish occupying authorities closed them all. The monasteries were allowed to open again in the 16th century which saw a time of great prosperity when they acquired a great number of donations in the form of money and land. The buildings were expanded and decorated lavishly, while their libraries grew with rare manuscripts. By the 18th century however the Meteora monastic community had fallen into decline which continued all the way into the 20th century when in 1960 it was revived mostly as a cultural heritage site, and efforts were made to salvage the monasteries and their priceless artifacts. Today six monasteries are active with a small number of monks or nuns who reside on Meteora and play host to three quarter of a million tourists annually. The monasteries at Meteora have different hours and days when they are closed. If you want to visit all the monasteries, pay particular attention to the closing information, and plan to stay at least a couple of days in the area. If you only want to see the rock formations, you can do so in a day. A well maintained paved road winds around all the major spots, so you can simply drive from one lookout point to another in a few hours. When you visit Meteora stay in either Kastraki or Kalambaka towns. Kastraki’s proximity to the rock formations makes it the more attractive choice to book a hotel. That’s especially true if you don’t have a vehicle, because Kastraki is a short hike away from the most scenic parts of Meteora. Nearby Kalabaka is also a good choice to search for accommodations. The town is much larger than Kastraki, so you will find more things to do. The surrounding area is also sprinkled with hotels of various quality, sprinkled all around the fields. Pindos mountain range can be a destination on its own right with its tall mountains, deep gorges, and beautiful traditional villages, while more cosmopolitan quests can be had in the small town of Trikala. Once you vistit Meteora you may opt to drive west through Pindos mountains towards Ioannina and the west coast of Greece. Going that direction will give you options to do mountain hiking in Pindos (perhaps in Vikos gorge), or to enjoy the sun at a beach resort (perhaps Parga, Syvota, or Preveza). If you are interested in Byzantine monuments, going west would bring you to Arta, a small, non-touristy, town that has a few important churches from the era. The most important of these is the church of Panagia Parigoritissa. Alternatively, you can drive East to Mt. Pelion for more traditional Greek mountainous landscapes near some very nice beaches. If you drive north towards Grevena, you can hop on the modern highway “Egnatia Odos” that leads to Thessaloniki in a about one hour. Thessaloniki, the second largest city in Greece, is host to a number of Byzantine monuments and a museum of Byzantine Art, so it would make a prefect destination to combine with Meteora. Another two hours further East from Thessaloniki will take you to Mt. Athos where you can experience even more splendid Byzantine monasteries. Unfortunately only males are allowed entry to Mt. Athos. It’s unfortunate that Mt. Athos is still stuck in Byzantine times, because the monasteries and the natural environment are some of the most beautiful you would find anywhere. Click to open the areal view and to get directions in a new window.